Jon Briggs has been appearing on stage, screen and on the air for over 30 years. Jon’s voice is most famous as the original UK male voice of Siri, but Jon has also appeared in several ranges of Sat Nav and as the announcer for BBC 2’s The Weakest Link. 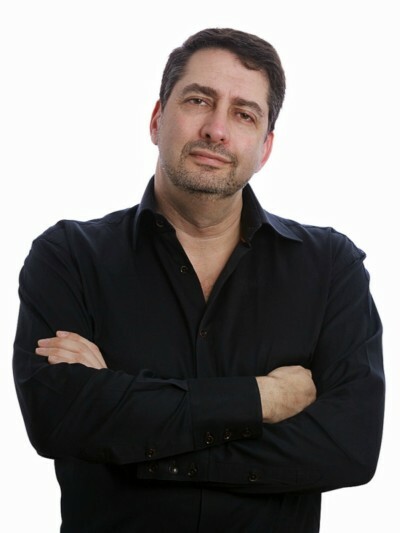 Jon’s ability to capture the ears of audiences has seen him work extensively within radio, providing announcements for Radio 1, 2, 4 and 5, as well as LBC in London. Jon has also featured on numerous television promos having worked at Channel 4, spent 3 years as the main promotions voice of BBC 1 and then 7 years as the voice of Sky Movies. Jon has voiced numerous high profile advertising campaigns for companies like Duracell, The Mirror, The Times, Nokia and providing in-flight entertainment on British Airways. Jon works as an Awards Ceremony announcer, lending his voice to ceremonies as numerous as The Millies, The National Business Awards, The Asian Awards, The Railway Children Ball and The Mobile News Awards. We’re delighted to be welcoming Jon back to his second appearance at One Voice.